SAN FRANCISCO, CA – 1AM is pleased to present “Reckoning”, a group exhibition reflecting society’s obsession with catastrophe, both imagined and real. The collection includes original art by Leon Loucheur, Optimist, Robert Bowen, Pemex, Monty Guy and Chamber Made. Drawing from a wide array of disciplines and cultural influences, these six artists expose a darkening horizon, commenting on the ruinous, self-destructive capacity of human societies. The opening reception is on September 28th from 6:30-9:30pm and is on view through October 27th. “Reckoning” will feature works that incorporate a variety of styles and techniques, blending highly rendered realism with abstract painting, collage, urban and graphic influences to build mood and dynamic into the narrative of the composition. With graffiti and street art backgrounds, these artists will surprise viewers with this newest collection of works aimed at deconstructing conventional realism and reassembling it with layers of context and meaning. All of the participating artists have been actively showing in galleries around the Bay Area and abroad, bringing worldly impressions from Ireland, South Africa, Taiwan and more. Explore their imagination and experience their influences through dramatic images and compelling landscapes in the paintings displayed in “Reckoning”. For more information, visit www.1AMSF.com. If you have any questions or would like to request media related material, please email anna@1AMSF.com. New York’s Daniel Albrigo joins the F4CGallery with his new cosmic & psychedelic take on America’s trails of glory. Piecing together the past with a futuristic look. The Bay Area’s Meagan Spendlove stacks her vibrant colors & ethereal linework. Molding together the rounds of motion, design & creative flow. 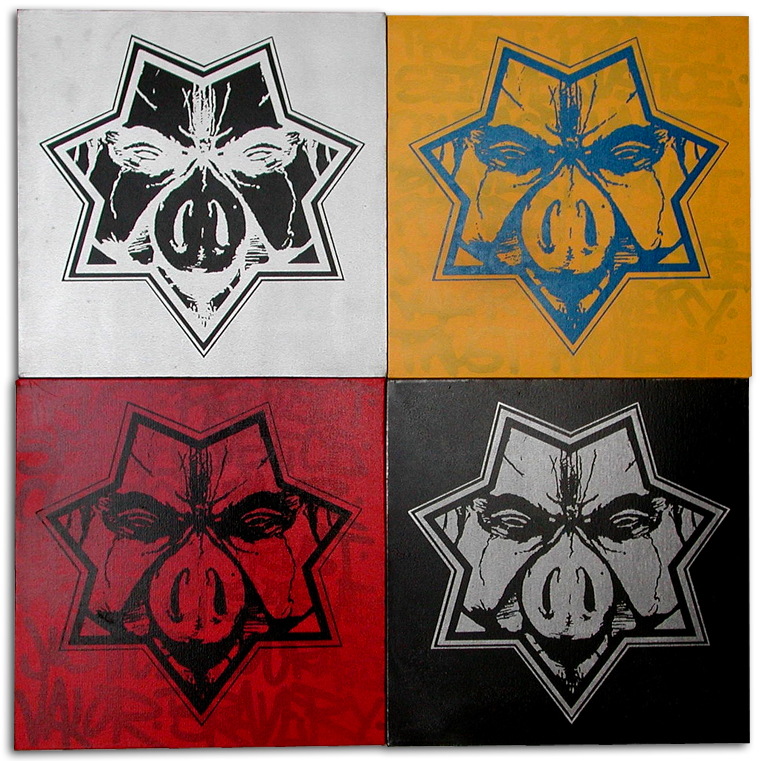 Colorado’s Ikon (Jamos Douglas) will be showcasing his works and installing a must see mathematically based burner. Composed of various cuts, changing colors and shape from the angle of viewing. We welcome this talented freight & brick slayer. 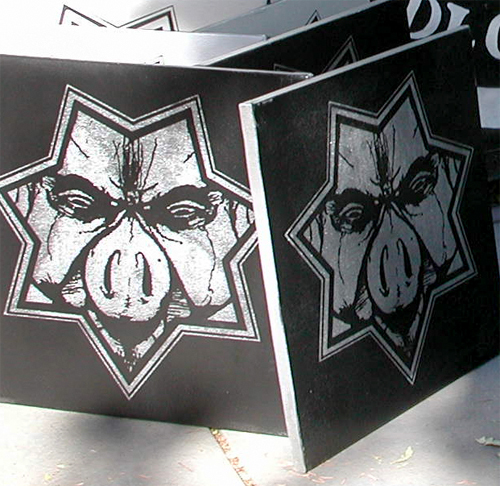 This was Cryptik’s installation at the Marxist Glue art show in Los Angeles. The stencils are hand cut and the lettering is free hand. 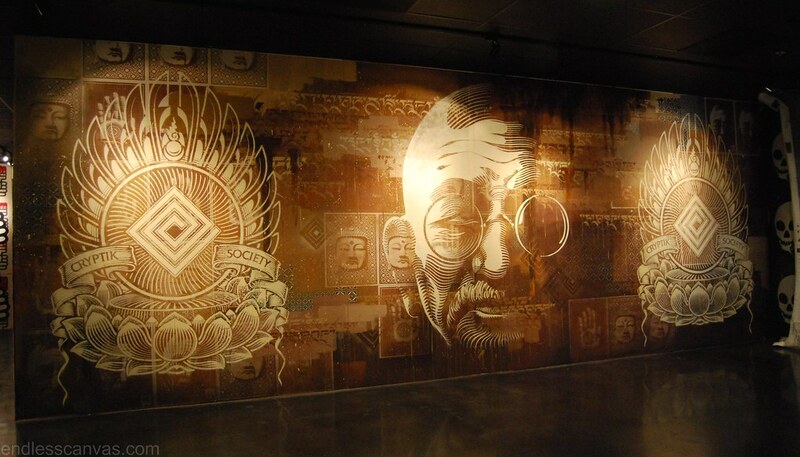 Cryptik’s Buddha character first caught our attention when we were down in LA for the Art vs Cops show almost a couple years ago now. Right after the second riot for Oscar Grant, Cryptik came through the east bay and hit some nice runner spots. The show runs the first three weeks of November 2010 at the Hold Up art gallery on 2nd street in Little Tokyo. ABOVE’S 1st EVER INDOOR SHOW! TO ORGANIZE A DUO SHOW TOGETHER. 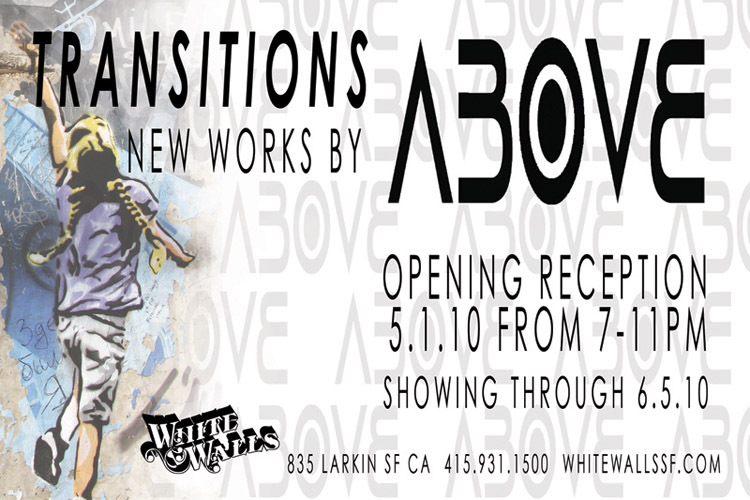 Opening Reception: May 1st, 2010, from 7-11 pm. Show runs through: June 5th, 2010, and is open to the public. 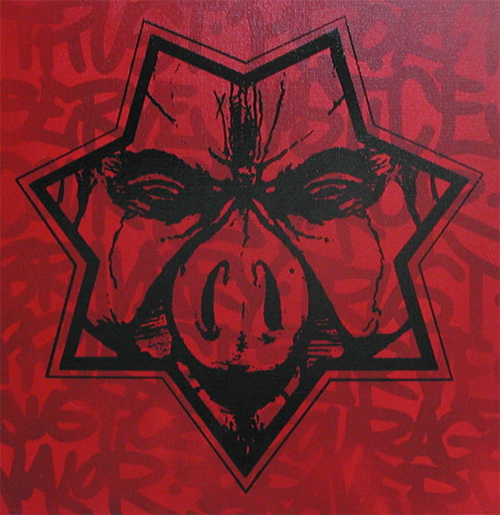 Star Pig is an Anti-Police Street Propaganda Campaign that has been going strong since 2001.